Google+ – Brand pages at last! So, Google have released Google+ pages, prompting an avalanche of tweets from brands, non-profits and other organisations asking you to “add us to your circles!” It’s been a matter of small frustration to anyone involved in social media for business, or any form of brand-based social media marketing, that pages have taken so long – and that’s even after Google brought their launch date forward due to demand. Add to this the fact that Google took to suspending profiles which were run by brands in the pre-page period – a side effect of the real names vs. aliases discussion – and it did all seem a little badly planned, even if you considered that G+ wanted the individual user to get used to the space before letting the brands in. The launch included a good selection of partners – everyone from Angry Birds to Save The Children – and prompted a rush on pages being set up. They do seem to be mostly Facebook-lite additions to the social media portfolio, but that’s to be expected this early in the game. What’s going to be interesting is whether or not anyone figures out what it is that Google Plus is really for, other than the +1 button helping improve Google search, and Not Being Facebook, as XKCD so rightly pointed out. Huddle (the messenger service for circles) and hangouts (webcam chat within circles) certainly have potential in terms of personal profiles, but quite how this might work for pages isn’t clear. One thing that will almost certainly work in the favor of G+ in terms of social media and digital marketing is the quality of information that Google Analytics can offer over anything from Facebook. There’s no form of analytics available quite yet for page users, although it’s been promised that it will be rolled out in due course. Another vital feature that’s missing is multiple administrator support. Custom URLs are also missing, and to register a page you do need to have a personal Google Plus account. On the plus side though (no pun intended) Google Plus pages are clean and simple, whilst allowing for greater, more in-depth conversation than either Twitter or Facebook. And if you thought that Facebook was a relief after the clutter of a MySpace profile, then Google Plus will seem positively zen. However, this might end up being a problem – one of the things that’s become obvious about corporate social media from brands’ use of Facebook is that they like to be able to customise the experience, and the current look of the new Google Plus pages is a bit (dare I say it) bare from that point of view. Facebook’s also been used extensively for competitions – but as TechCrunch reported, the terms of service for pages explicitly forbid running promotions or competitions on G+ pages – although you can link to them being held elsewhere. Of course, brands will have no reason to stay unless the customers are there. And as every article written about G+ so far says, mass adoption just hasn’t happened yet. G+ has certainly had some growth, but it’s nothing that’s going to threaten Mr Zuckerberg’s empire. 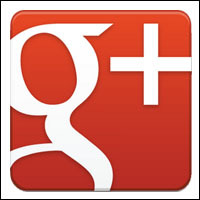 What do you think about the brand pages on Google+? and how do you predict its future.